Bounty bars are wonderful, but healthy bounty bars with a caramel center?! Yes please! 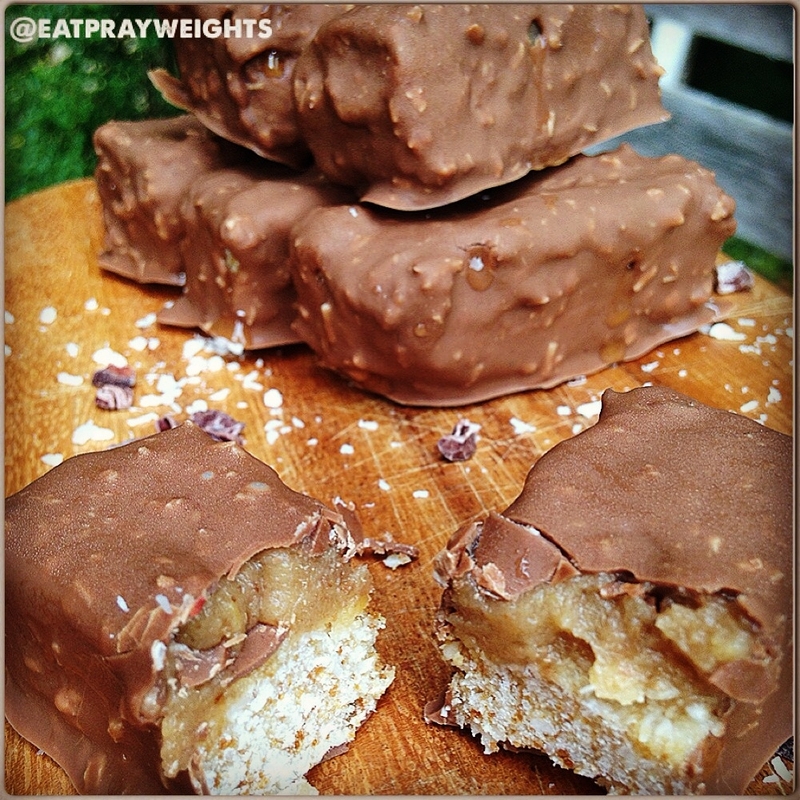 Confession: I love bounty bars, but don't eat them because..#nutritionfactssuck. Sooo, I opted to make my own! And add caramel because everything is better with caramel! And, I don't mean to speak too soon, but these bars tasted..better than bounty bars! Jackpot. ðŸŽ‰ðŸŽ‰ AND! They are mini, so they are perfect for a finger food treat! Mix dry coconut filling ingredients and then add wet into it. Line a small container with wax paper and flatten coconut filling into container. For the caramel, blend ingredients together and spread on top of coconut filling. Place container in freezer until caramel is hardened (takes about 3-4 hours). Once hardened, cut into 6 bars. Microwave chocolate ingredients together and then coat bars with it. Place back in freezer until chocolate is set. Store in fridge until eaten.